The Oxnard Public Library is dedicated to the preservation of local history and culture. Oxnard has a rich cultural history dating back to the days of the California ranchos. The Local History Collection is housed in the Special Collection Room in the Main Library. All related materials may be viewed by appointment with a reference librarian. 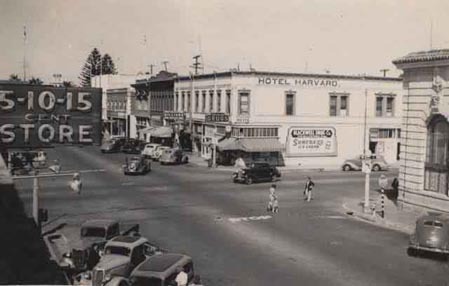 The Local History Collection is an accumulation of materials which provide information concerning Oxnard and Ventura County history. Materials include books, photographs, periodicals, and files of pertinent information. The maintenance of the collection involves acquisition of, preservation and protection of, and provision for equitable public access to materials. Then other European immigrants began to settle in the area and farming became a major industry. Lima beans made up the primary crop but then Albert Maulhardt invited Henry T. Oxnard, who was in the sugar cane and beet sugar business, to visit. Mr. Oxnard agreed that sugar beets would grow well on the fertile plain. He agreed to teach the farmers how to raise the crop successfully, and the Oxnard Brothers built a factory in the middle of the fields to process the beets. Land for the factory was purchased from Thomas A. Rice. A town quickly sprang up near the factory to meet the needs of the construction workers and their families. The Oxnard Improvement Company was created in 1898 to design the town site which was laid out, European style, around a town square (now Plaza Park). The land for the town was purchased from J. G. Hill. The factory began operation in 1899, with Major J. A. Driffill as the plant manager. The first church was built in 1900, and the Ventura County Railway was built to transport beets from the fields. The Oxnard Union High School District was formed in 1902, and the city incorporated June 30, 1903. 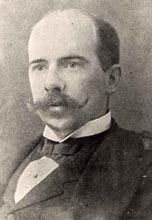 In 1906, educator and first mayor of Oxnard, Richard B. Haydock, applied for assistance from the Andrew Carnegie Foundation to construct a library building. Early businesses included the Bank of A. Levy, Lehmann Brothers Department Store, Poggi’s Drug Store and a large hotel. The factory operated for 60 years but closed its doors in 1958 when vegetables had replaced sugar beets as the primary local field crop. During the 1930s, those interested in commercial water shipping took advantage of the deep channel extending out from Port Hueneme Harbor. The Oxnard Harbor District was formed in 1938 and built a commercial and yacht harbor. Canneries came to the port, and steamship companies lined up for regular coastal service. 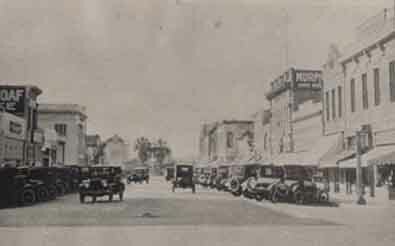 Oxnard experienced its greatest growth during World War II. The U.S. Naval Construction Battalion Center was established at the harbor, and the first U.S. Naval Air Missile Test Center was constructed at Point Mugu in 1946. Former Oxnard Mayor, Edwin Carty, was a major real estate developer during the 1940s and 1950s. Oxnard Air Force Base was established in 1952. Martin V. Smith began building restaurants and motels in the 1940s. His Colonial House on Oxnard Boulevard attracted the Hollywood crowd during the 1950s. Smith later built the two tall buildings rising up out of the Oxnard Plain in the area known as Financial Plaza. Oxnard is the largest city in Ventura County. It is the center of the vast alluvial plain, now known as the Oxnard Plain, 180 square miles of some of the richest agricultural land in the State of California. The selection and purchase of new materials will be an ongoing activity, with responsibility assigned to the librarian in charge of the Local History Collection. Selection of items will be limited to those dealing with the history of the City of Oxnard or the County of Ventura, with special emphasis on Oxnard. In accordance with the Collection Development Policy of the Oxnard Public Library, specialized genealogical references will not be purchased. Gifts and Donations will be received, following the library’s gift policy. The patron donating the item or items will be advised that once the materials become the possession of the library, disposition will be left to the discretion of the Local History Librarian. Receipts will be provided upon request. The Local History Collection at the Oxnard Public Library includes books that are valuable to the recorded history of the City of Oxnard and the County of Ventura. The Special Collection Room houses a variety of school yearbooks, but mostly from Oxnard High School. For many years the books were acquired through donations but have become so popular the library has begun buying the Oxnard High School books each year. Since for many years they were acquired through donations, there are some gaps in the collection and we are still interested in receiving donations in the hopes of filling in the gaps. The collection includes the range from the very first yearbook in 1906 to the present. There are a number of personal memoirs of individuals who have made their home in Ventura County and one very fine scrapbook of notes and photographs of a French-Immigrant family. The library contains several biographical dictionaries of prominent citizens who settled in the area at the turn of the 20th century, a history of the first farmers who planted crops in the area and individual biographies of people such as banker Achille Levy and Senator Thomas Bard. It was the construction of the American Beet Sugar Company refinery, in 1898, that spurred the development of the town called Oxnard. The library has a fine collection of books that discuss the raising and processing of sugar beets. We have a group of street and telephone directories beginning with 1908. 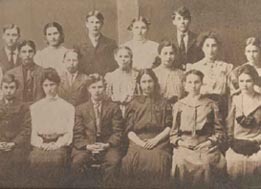 As with our high school yearbooks, there are some gaps in the collection, but these can be very useful in genealogical research or in identifying the location of a particular business that is no longer open. Bank of America Levy building in background. The Oxnard Public Library subscribes to The Ventura County Historical Society Quarterly. The quarterly is indexed and may be searched through the library’s online catalog. Articles and photographs within the quarterly are indexed by subject and keyword. The quarterly may be viewed in the Special Collection Room in the Main Library. A photocopy machine is available within the room. Or, if you are located outside the area, you may contact your local public library and inquire about requesting a copy of an article through interlibrary loan. The library will need the name of the periodical, date of issue, and page numbers of the desired article. The library has The Oxnard Press-Courier on microfilm from January 1900 through its final day in June of 1994. Beginning with June 1994, the library began microfilming the Ventura County Star. Some indexing of the newspapers has been completed and is available on the library’s online catalog. Indexing from 1954 through 1996 is available as is 1900 through 1904. The library also has The Los Angeles Times on microfilm from 1972 to the present. Microfilm may be viewed in the library. If a particular article is desired by patrons living outside the Oxnard area, and the name of the periodical, title of article, the date and page numbers are known, the library will photocopy the article for mailing. In addition to published books and periodicals, staff has created files of information not otherwise pulled together in one resource. The library has a collection of Biography Files in the Special Collection Room. They are indexed according to the biographee’s name and subject. For example, in the case of Erle Stanley Gardner information is found under his name as well as the careers of lawyer and writer. As with biography files, Ephemera Files have been created for the purpose of pulling together information on particular subjects into one easily-accessed folder. Library users can find a file of newspaper and journal articles written about the founding of the City of Oxnard, the Oxnard High School, Saint John’s Regional Medical Center and many, many more places. Ephemera Files are indexed according to the subject matter of the file and may be viewed in the Special Collection Room. Unfortunately, we do not have staff available to do research for patrons. However, for people not living in the area, some brief assistance is available. For instance, those needing copies of obituaries for genealogical research may request such. The staff will search for an obituary provided we have at least the month and year of the date of death. The library will mail up to 10 pages of photocopied material anywhere in the continental U.S. free of charge. In 1998, Oxnard was one of nine libraries chosen from across the state to conduct a photo history project as part of the “Shades of California” program. Library patrons were invited to bring in collections of their family photos, and project volunteers made selections as well as gathered information about the individual photographs. 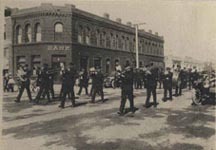 W. P. Photographic Services duplicated the images for the project and added them to the library existing digital collection as well as sponsoring an Open House and Exhibit at the library in August 1998. You can access Oxnard digital images online anytime at: Oxnard Digital Heritage Room. In the search box, type any keyword search term. If you type in “Shades of Oxnard”, this will yield a list of images that were added under the Shades of Oxnard program. Images may be accessed by clicking on the underlined words.